Learning about structured water is part of a larger tapestry of understanding and awareness about health and HOW THINGS WORK. It comes down to structure patterns (geometry), movement, and patterns of movement. This week I’ll talk about structure wrt water, and next week I’ll bring in other pieces I’ve found about the movement structures of genes and air. My goal is to pique your interest and point you to more information if you want it. Water naturally resets or structures through the hydrological cycle – i.e. when it evaporates, forms clouds, and recycles to the surface via rain and other precipitation. We are now creating technologies to structure water that will help repair our polluted oceans and waterways and dramatically improve health of the land, plants, animals and humans planet-wide. At home, I hold it under the water spout of my refrigerator to re-structure the tap water that has passed through the fridge’s filter. I love that it’s so simple, easy to use, and will never wear out or need parts replacement. The more I learn about water and feel the changes in my own body, the more I want the whole-house water structuring device and I want everyone to have access to structured water. I want to water the produce we grow with it. I want all water to be clean and healthy. Structured water means re-vitalized water, “happy” in that its structure and energy have been reset as per the natural hydrological cycle on our planet. I believe this new understanding will lead us to restoring water on the whole planet. To buy your own structuring unit, click here for The Wellness Enterprise, retail. Specifically, I wanted to ask Clayton what happens to the chlorine and other contaminants in municipal water as it goes through my (his) water structuring device. I was accustomed to the traditional notion of contaminants needing to be filtered out or physically removed. He said that as water flows through the device, the structure of the hydrogen is changed. It’s the hydrogen that binds to the other elements. The hydrogen bond angle is increased and the other elements are neutralized (fall away.) Structured chlorine turns into a gas and floats on top. You can simply blow the gas off your glass of water and drink it. I had occasionally noticed a stronger chlorine taste after structuring. I now blow on the water and haven’t smelled or tasted chlorine since. Passing water through the device several times makes the water feel better (more reset? more alive?) than just one time through. Taking the time to enjoy the feeling of water play as the water flows (through the device) from one jar to the other and say “thank you” to the water makes it feel even better. Clayton has measured the difference his device makes up to six times through. Beyond that, we simply don’t have the technology to quantify the differences. My friend who has been using her hand-held water structuring device for six months has lost significant weight and reports feeling mentally clearer than she has in many years. 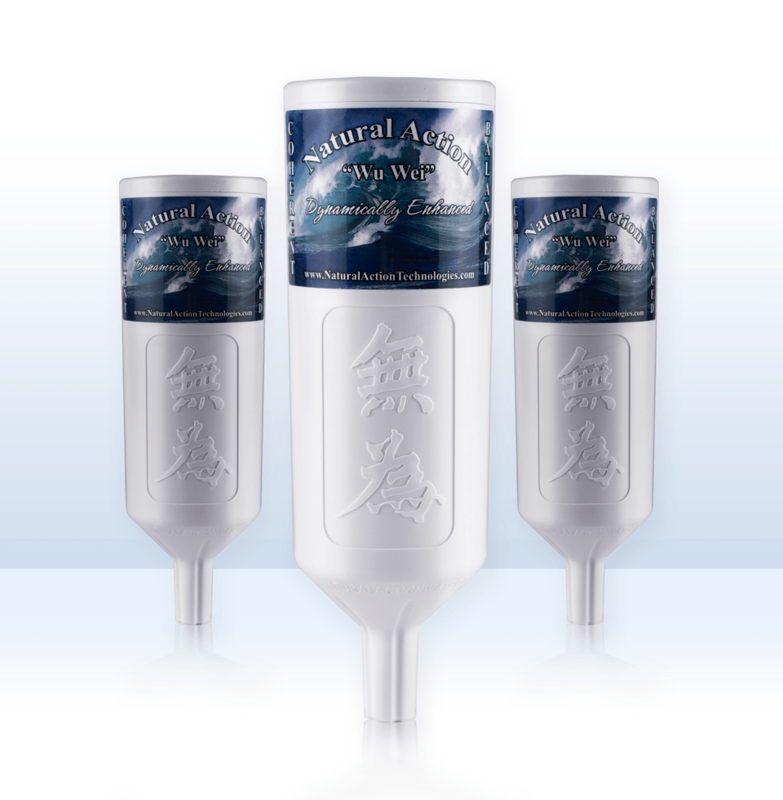 Read about it, try it out and start putting water purity at this level on your radar. It’s important.